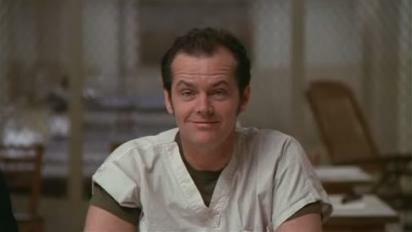 One Flew Over the Cuckoo’s Nest. . Wallpaper and background images in the Jack Nicholson club tagged: jack nicholson one flew over the cuckoo's nest. This Jack Nicholson fan art might contain portrait, headshot, gros plan, and closeup.